In April 1925, Chester and Mildred Ingalls founded the Ingalls Funeral Home. 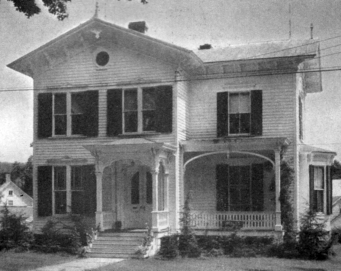 Their first location was in the old Griffin block on Pioneer Street in the Village of Cooperstown, in the days when funeral services were held either in a church or in a family's home. In 1926, the Ingalls moved their funeral business to a block of stores at 124 Main Street, and then added a furniture business, Ingalls Suburban Store, in 1929. This block, destroyed by fire September 20, 1967, was most recently occupied by TJ's Place but is currently vacant. In addition to the funeral and furniture business, Mrs. Ingalls conducted a beauty parlor known as the Vanity Shoppe both at the Pioneer Street and Main Street locations, from 1925 until 1929. With the changing nature of the funeral business, the Ingalls needed more room in which to conduct funerals, and in 1936 purchased the former residence of Charles Stanton at 85 Chestnut Street and converted it into a funeral home. They continued their furniture business on Main Street until 1940, when they moved it to the rear of the funeral home on Chestnut Street. 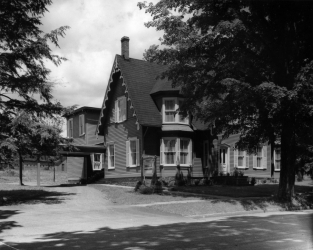 The Ingalls Funeral Home was operated from this building until Chet and Millie purchased the 1852 Fay-Spraker home, a Carpenter Gothic-style house located directly across the street, in 1952. 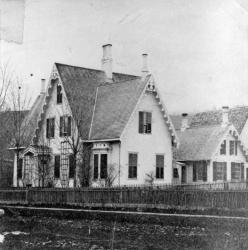 The former residence of Mr. and Mrs. Rowan D. Spraker, Sr., the Ingalls had it completely remodeled and provided an off-street parking lot. It was their goal to open a funeral home that would fit "… ideally into the native beauty of one of the finest villages in America." On May 30, 1954, the Ingalls had an Open House and welcomed over 250 people to their new facility. In January 1962, the funeral business was incorporated with Chester and Mildred Ingalls and George L. Connell as the stockholders. Mr. Connell, was the licensed manager of the firm at the time of incorporation and became president in 1966. 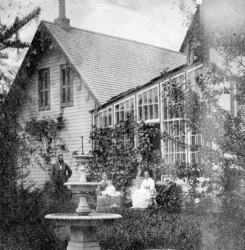 In October 1970, the Ingalls sold their entire interest to Mr. Connell and James E. Dow, who changed the name of the funeral home to Ingalls, Connell, & Dow, Inc. Completing 45 years of service to the community, Chet and Millie retired and resided both in Cooperstown and Florida, until passing away in 1987 and 1988, respectively. In 1986, Mr. Connell retired from the business and Mr. Dow became the sole owner. Mr. Connell died in 1998. 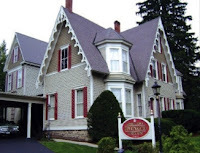 In October 1994, Peter A. Deysenroth, a licensed funeral director from Connecticut, entered into employment at the funeral home. The following year, he and Mr. Dow changed the name of the funeral home to Connell, Dow & Deysenroth, Inc., and in October 2005, Mr. Deysenroth became the sole owner of the business and property. Building on the traditions and high levels of personal service started by Chester and Mildred Ingalls, and carried on by George L. Connell and James E. Dow, it is Mr. Deysenroth's goal to continue the dignified and caring service to area families that has become the hallmark and guiding philosophy of Connell, Dow & Deysenroth, Inc.